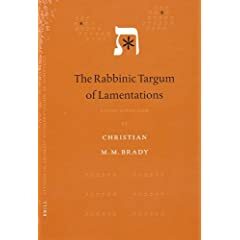 The SBL Book Review email arrived and I was pleasantly surprised to see a review of my book, The Rabbinic Targum of Lamentations, by my friend Jan-Wim Wesselius. The review can be found here. It is a very positive and friendly review. I just want to make a couple of comments that I hope are not too defensive. JWW suggests that I could have elaborated more on “the literary nature and contents” of what I refer to as a “theological prologue” to TgLam. * In fact, I have done so in an article that he cites. “Targum Lamentations 1.1-4: A Theological Prologue,” in Targum and Scripture: Studies in Aramaic Translation and Interpretation in Memory of Ernest G. Clarke. In Studies in the Aramaic Interpretation of Scripture, vol. 2, (Leiden: Brill, 2002). I will be the first to admit that it was a very crude and simple article (my first) but I pursued these issues in even greater detail, often coming to the same conclusions as JWW, in my doctoral thesis, available for download on this site. In any event, JWW’s elaboration is to be welcomed. His commentary on this passage does introduce a note of (unintended) irony. JWW critiques the assumptions I have made. Within verses 1-4 the targumist has begun to give us the historical and theological setting within which the destruction of the Temple is to be understood. Up until this point, however, the “historical” setting has been one, not of true history, but of Heilsgeschichte. The targumist has carefully placed this event within a theological history of God working with and chastising his people. And so the targumist makes it clear that the destruction of the Temple was not the result of kings and men. Jerusalem suffered because of her own sins and this punishment was decreed by God alone. Furthermore, the Heilsgeschichte presented by the targumist demonstrates that this is completely consistent with the nature of God as revealed in the Bible. The first four verses of the targum have thus established for the audience the precise theological setting for the correct reading of Lamentations. Throughout the rest of chapter one the targumist will begin to bring out more of the Realgeschichte (as opposed to Heilsgeschichte) setting and will introduce the main characters, but these remaining additions are relatively solitary in nature. In fact, in terms of additional material 1.1-4 is the only sustained section of expansion within the targum. And this, I believe, is the fundamental exegetical purpose of this section: it is intended to set the stage for the theological interpretation of the work as a whole. As a result, the amount of expansion diminishes as the targum proceeds, while continuing to underline the major theological points already introduced in 1.1-4. JWW goes on to provide a very nice elaboration on the literary characteristics and elements that make this prologue such a powerful text, albeit only four verses! He also provides his own translation and notes on those four verses. In this context he has, perhaps, his strongest criticism of The Rabbinic Targum of Lamentations and one that is not completely unfounded. [Brady] uses the text of Codex Vaticanus Urbinas Hebr. I, incidentally adducing the evidence of other manuscripts, but for his translation and comments silently emends many of the errors in the manuscript, rarely adduces the evidence from other manuscripts, and sometimes translates an evidently incorrect form of a word or sentence without notifying the reader that the reading and translation are highly uncertain. I can fully understand the practical reasons underlying this approach, as one could hardly expect the author to make a full text edition of TgLam also, but I think it would have been better to present them explicitly. JWW’s critique is true, for this publication. I believe that I am more explicit in my doctoral thesis concerning where and why I have emended the text upon translation (and, in Appendix 1, p. 142, of this book, I do make clear the principles which guided any emendations I have made to the text), but the full truth is that I am sure my translation can be improved upon and I hope people will. The entire text of which can be found at the NTCS site: http://targum.info/meg/tglam.htm. Please forward any suggestions and corrections along to me. Do read the whole review, since JWW has added quite a lot to this discussion. 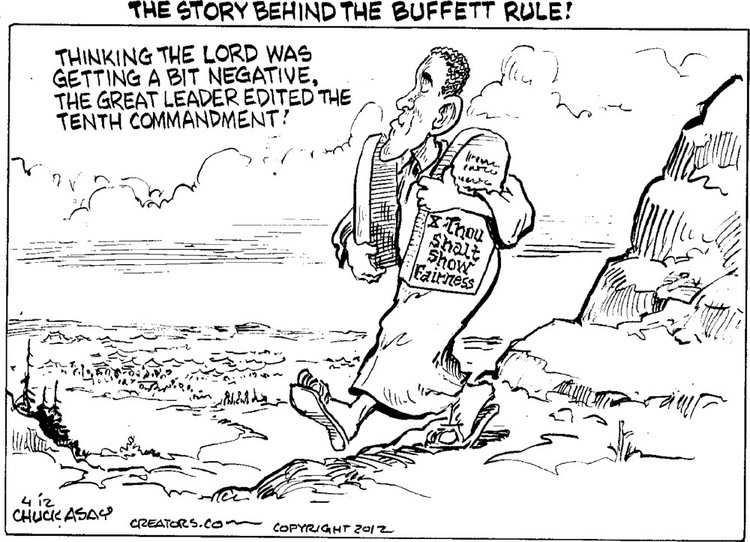 He promises to publish further on this passage and I look forward to it! Thanks Matthew! Your wiki looks great. Very promising. I do hope people do not misunderstand me, Jan-Wim offered a very generous and kind review imho. I also am grateful for his entering the conversation. I was glad to read that he is going to publish elsewhere further comments since he clearly has more to say! Bernard Grossfeld has also emailed me to say that he has a review coming out in the next issue of JAOS 125.3. So although it has been out for nearly 4 years now it is nice to see it receiving some attention. A few other small reviews have come out before. See this entry, for example. Congrats on the reviews, Christian. That’s excellent. Better late than never (is usually true).